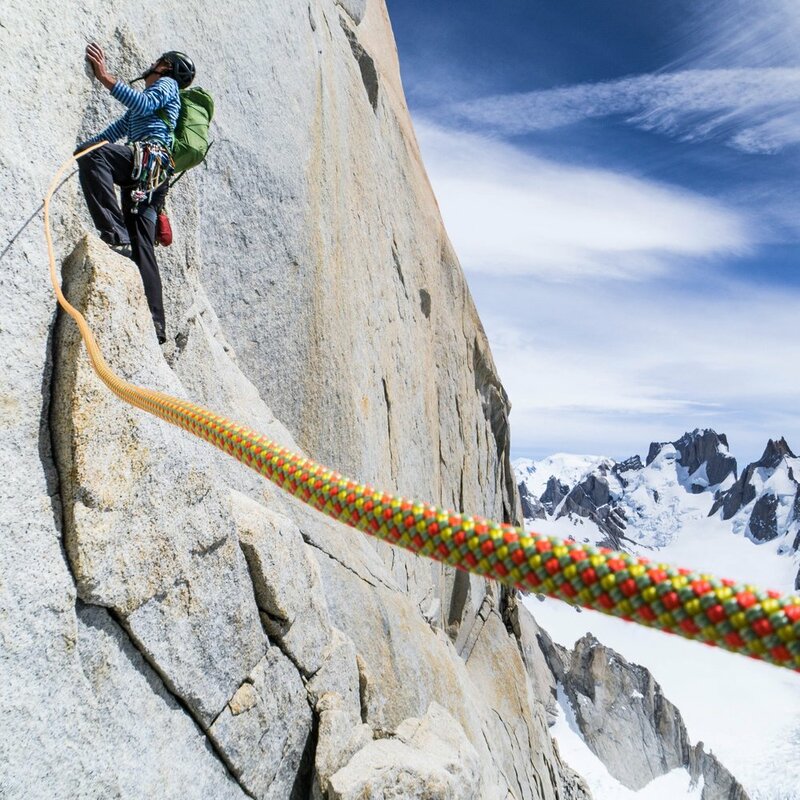 The American Alpine Club has inspired and supported cutting-edge climbing achievements for over 100 years. From funding the first ascent of Mt. Logan in 1925 and the exploration of the Karakoram in 1938, to the 2006 first ascent of Nanga Parbat’s Rupal Face, and the countless expeditions in between, the AAC has stood to encourage climbers to push their physical and mental limits, supported their pursuits, and celebrated their accomplishments. The Cutting Edge Grant continues this tradition, aiming to fund advanced climbing athletes in pursuit of world-class climbing and mountaineering objectives. Cutting Edge Grant awards are intended to more significantly contribute towards total expedition costs. Awards will typically fall in the $5,000 to $15,000 range, however award amounts will vary based on project and budget. The application period for the Cutting Edge Grant is open from October 1st through November 30th, each year. Applications must be submitted via the online application no later than 11:59pm MST on November 30th. Both recipients and non-recipients are notified after the selection committee has made their final award choices. See below for the online application link. Goal. The Cutting Edge Grant seeks to fund individuals planning expeditions to remote areas featuring unexplored mountain ranges, unclimbed peaks, difficult new routes, first free ascents, or similar world-class pursuits. Objectives featuring a low-impact style and leave-no-trace mentality will be looked upon with favor. Experience. Applicants should possess a strong resume of past climbing achievements and/or experiences that illustrate their ability to have a reasonable potential for success. He or she must demonstrate that they are an advanced and capable climber. Experience must be in keeping with the difficulty of the stated objective. Eligibility. Individuals who are U.S. citizens and members of the American Alpine Club are eligible to apply. The Cutting Edge Grant is open to all climbing athletes, including those receiving financial support or in-kind support from corporate sponsors, however the level of sponsorship must be disclosed. Other team members need not be U.S. citizens. The AAC encourages all capable athletes seeking worthy objectives to apply. If you have a question or a doubt regarding your project goal, experience level, or eligibility, please reach out to the AAC Climbing Grants Manager. 1. Content Deliverable Plan. The highest standard of deliverables, including trip reports, articles, media, and outreach are expected from Cutting Edge Grant recipients. The AAC Grants Manager and American Alpine Journal editorial staff will work directly with recipients to develop a plan for appropriately documenting the expedition, developing timelines for submission, and creating appropriate engagement expectations. This plan will be developed and agreed upon by both parties prior to the expedition date. Photography/Videography: High-quality photography and/or videography illustrating the visual aspects and experiences of the expedition, including imagery that exemplifies the AAC brand and incorporates the AAC logo, will be expected. Presentations/Slideshows: Recipients may be called upon to give a presentation of the expedition at a national or local AAC event or other public engagement. It is expected that recipients mention the support of the AAC and include the AAC logo when speaking about the expedition. Marketing: Recipients may be asked to participate in AAC-driven marketing campaigns promoting the Cutting Edge Grant or other AAC programs. Campaigns could include social media posts, Instagram takeovers, print collateral, or email promotions. Volunteerism: Recipients may be asked to participate in AAC-led volunteer commitments such as sitting on a grant selection committee or involvement in conservation, stewardship, or advocacy initiatives. 2. Trip Commitment. Recipients should demonstrate a commitment to their objective by expressing a detailed understanding of the proposed expedition’s objective, timeline, budget, and logistics, including what permits and/or visas may be required. 3. Club Representation. Recipients will act as American Alpine Club ambassadors to the international climbing community and are expected to champion the mission, values, and support of the Club both domestically and abroad. Recipients should do their best to practice environmentally low impact and leave no trace ethics, acting as strong mountain stewards. Recipients are expected to obey the rules and regulations of the host country in which they are climbing. Proposals are accepted for expeditions occurring within one calendar year of the award date. Funding shall not be released to recipients until necessary permits and/or visas have been obtained. If for any reason the project is canceled or significantly altered, recipients must contact the AAC Grants Manager. If requested, all awarded funds must be returned to the AAC in full. The Selection Committee for the American Alpine Club's Cutting Edge Grant is Chaired by Jack Tackle and includes members Jared Ogden, Kate Rutherford, Kevin Mahoney, and Nancy Feagin.